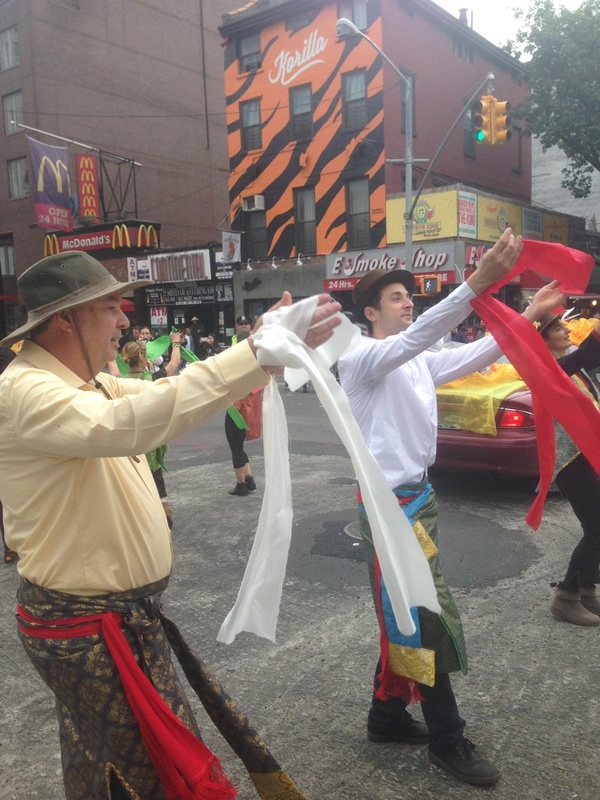 A small group of practitioners from Tsegyalgar and Kundrolling danced Khaita on the streets of NY with many other groups, some with as many as 400 dancers. 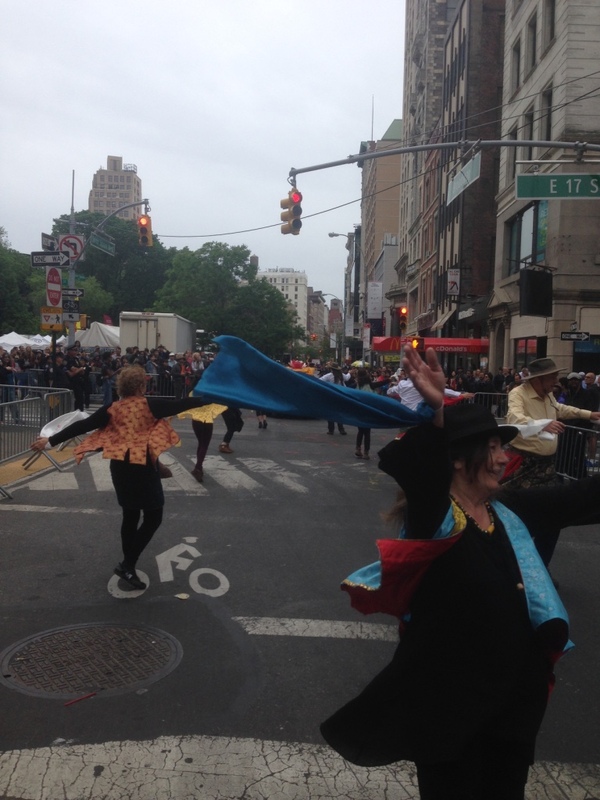 We were part of the New York Dance Parade on May 21st, a yearly event on a mile-long route, celebrating dance in all forms as a unifying force for humanity. In this event there were dancers from 147 organizations representing 81 distinct dance styles from the US and other countries, totaling over 6,000 participants. Many of the performers live in NY, though the nationalities and styles they represented come from everywhere; it was a pretty good reflection of New York itself. There were African dancers, stilt dancers, belly dancers, Butoh dancers, hip hop, Lindy hop, hula dancers, drumming dancers, Guatemalan dancers, Mexican dancers, break dancers, creative dancers, ballet dancers, 5 rhythms dancers, Chinese dancers, Thai dancers, Caporales, Jamaican, disco, Brazilian dancers, Irish, Scottish, step, Russian, roller disco, Slavic and Zumba, Indian, Indonesian, Taiwanese, to name some. And this year, Khaita was there too. 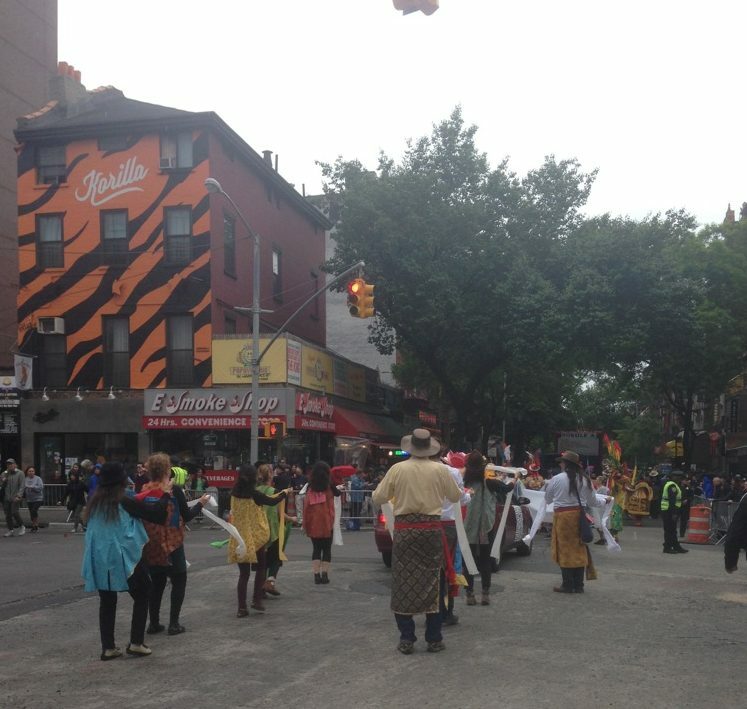 When asked what the most basic purposes for bringing Khaita to the Dance Parade were, organizer Bret Bourman said it’s because it is a practice, and a support of Tibetan culture. We were the only group associated with Tibetan dance, and several Tibetans who saw us along the route were pleased at our presence there. 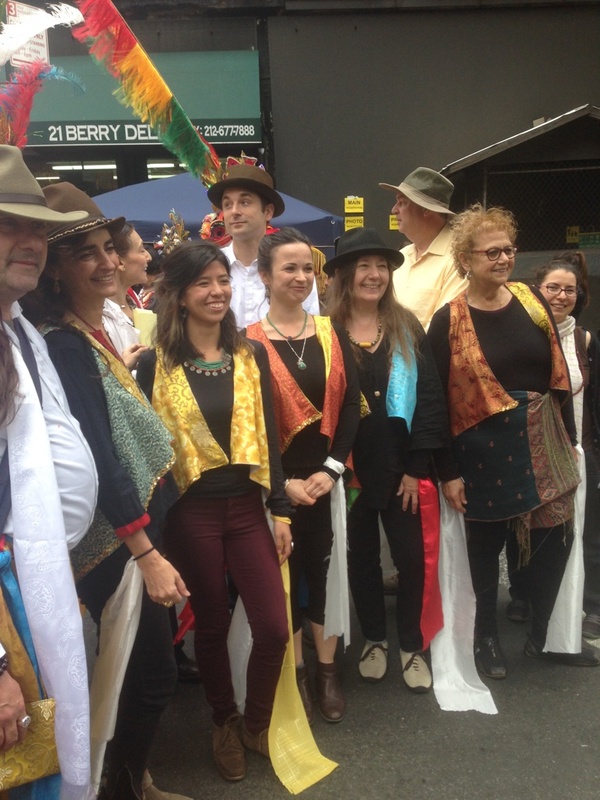 It felt exhilarating and liberating to be out on the street in our practice of the dance, and at the same time in contact with so many others who also were expressing something of themselves and their own cultures and values. And we all seemed quite open to this: the driver of our lotus-topped mascot car; the people who walked with us handing out flyers and filming us; friends and family, and the dancers themselves. We don’t dance Khaita in order to feel joy, but because we dance Khaita it naturally arises as the product of the integration of movement and presence. Through the movements, the music, the meaning, and being with others, a special enjoyment arises. Khaita is unique in the scope of what it offers. 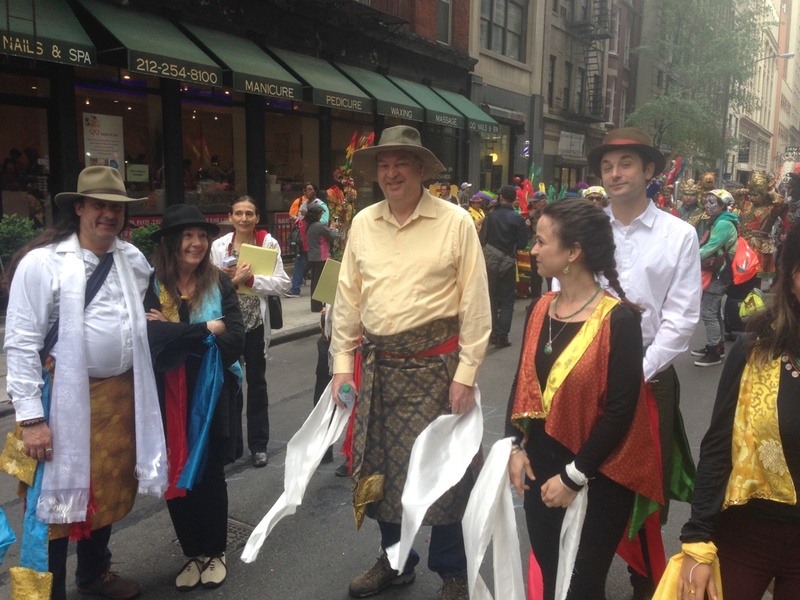 Khaita contains and expresses a clear message from Tibet, and this was very much in our intention as we danced down Broadway in Manhattan. Being present in practice, the integration of presence not only with the movement of thought and our own bodies, but with everyone around us represented something big and in a big city like New York this becomes a very powerful experience. I’d like to say something profound and special about this profoundly special experience of joy. Yet it’s not easy to describe it. It’s not easy to describe mind; it’s not easy to describe love; it’s not easy to describe energy: it’s not easy to describe Guru yoga. But we danced them all, and what a marvelous thing it was. It may not know it, but New York will never be quite the same.